The L4F and S4F Over Head 4 Drum Fork mounted automatic and mechanical forklift attachment handles 1,2,3 or 4 drums at a time. 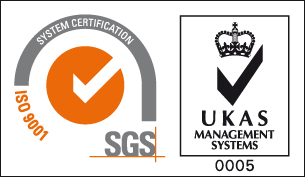 The unit handles all conventional rimmed steel, fibre and plastic drums. 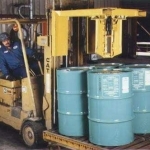 Ideal for conveyor work, pallet change-out, truck and container loading, general warehousing and all stacking and high-volume drum handling applications. 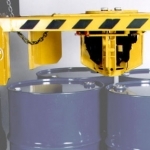 For high volume drum handling operations the unit secures to forklifts with safety chain and gravity clamp device. 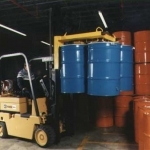 The capacity of the L4 range is 900kg per drum (3600kg). 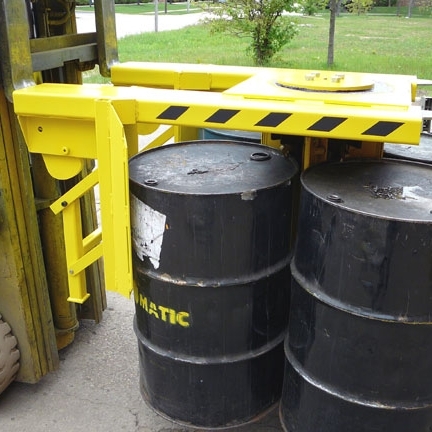 The L4F can handle up to 4 drums at a time of various types, steel, plastic L-ring and fibre. 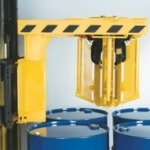 The L4F is ideal for de-palletising, removing drums from conveyors or stacking 4 drums at a time. 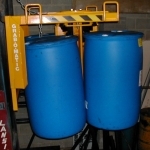 Up to 4 plastic L-ring drums can be vertically lifted and transported in a single load. The gripping head cluster is lowered into the centre of the 4 drums and automatically grabs the drums when raised. The S4F has been specially designed for double stacking inside containers. It will only grab four drums at a time.